I love Lord of the Rings. The films were a pretty decent interpretation of the books (although far from perfect). 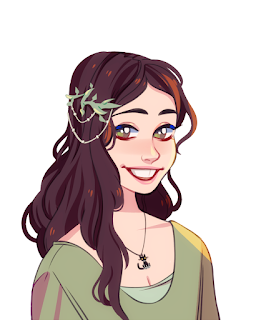 My favorite character is Sam but also really adore the elves. I was in high school theater, once upon a time, and every year we would have the Drama Awards. In 2003 our theme was films so I made an elf costume to wear. 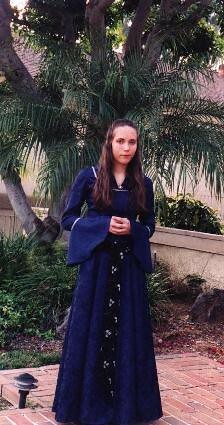 I decided to go as Arwen since she looks the most like me and (in the film at least) is a recognizable character. The dress quickly got too small for me as time went on so I retired her. After a bit I dug her up again for a television series I made in college. The girl who wore her was too small for it but it worked. Click the image to comment on it's Flickr page!